The company’s Ukrainian office is expected to be closed before the end of 2010, un.ua says. The decision to close the Ukrainian office was the result of a transition to indirect ownership of the Kyivstar mobile telecommunications company after the creation of VimpelCom Ltd., which owns 100% of Kyivstar in Ukraine and the VimpelCom operator in Russia. «The Ukrainian office performed its function of representing the interests of the Telenor Group in the country excellently, particularly during the difficult period of the corporate conflict in Kyivstar. Since the Telenor Group is presently an indirect owner of Kyivstar through VimpelCom Ltd, there is no need for a separate representative office of the group in Ukraine,» the Telenor Group’s Senior Vice President Tor Halvorsen is quoted as saying. The Telenor Group’s representative office in Ukraine was opened in 1997 to support the operations and represent the interests of the company in Ukraine. the number of the Telenor Group’s staff has increased to 12 since the beginning of the corporate conflict in Kyivstar. 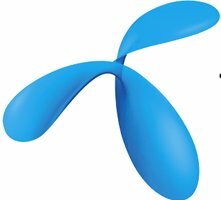 In April 2010, the Telenor telecommunications company and the Altimo company (Russia) announced the completion of the merger of VimpelCom mobile telecommunications operator (Russia) and the Kyivstar mobile communication operator. the Antimonopoly Committee suspended its permission for the merger of VimpelCom and the Kyivstar on April 22 after Astelit provided additional facts in support of its request to delay the merger. Astelit later withdrew its request.